Marking yet another step in the ongoing shakeup of the European airline industry, one of the continent’s largest travel groups, Thomas Cook, confirmed on Thursday internal discussions over the possible sale of its airline business to increase financial flexibility and concentrate on its core strategy. With a joint fleet of 103 aircraft, of which a quarter serve long-haul destinations, Thomas Cook ranks as Europe’s eleventh-largest airline group, carrying 20.3 million passengers in the financial year ending September 30, 2018. During a first-quarter earnings call with financial analysts Thursday, Thomas Cook Group CEO Peter Fankhauser said the strategic review of the group's airlines will consider “all options to enhance value to shareholders and intensify our strategic focus,” though he stressed the review process remained at an early stage. “We will provide an update on this process in due course,” he added, without providing details of the options and whether they could include selling just some of the airlines. The group controls airlines and AOCs in several EU countries, including Thomas Cook Airlines UK, Condor in Germany, Thomas Cook Airlines Scandinavia, and Majorca-based Thomas Cook Airlines Balearics. It established the latter only last year as part of an ongoing overhaul of the group’s airline division to increase profits and growth to support its own tour operators while competing wing-to-wing with low-cost carriers. The overhaul, however, also saw the closure of Thomas Cook Airlines Belgium in 2017 and the transfer of certain of its assets, including 160 crewmembers, the airport slots, and two of the five aircraft to Brussels Airlines, a Lufthansa subsidiary. 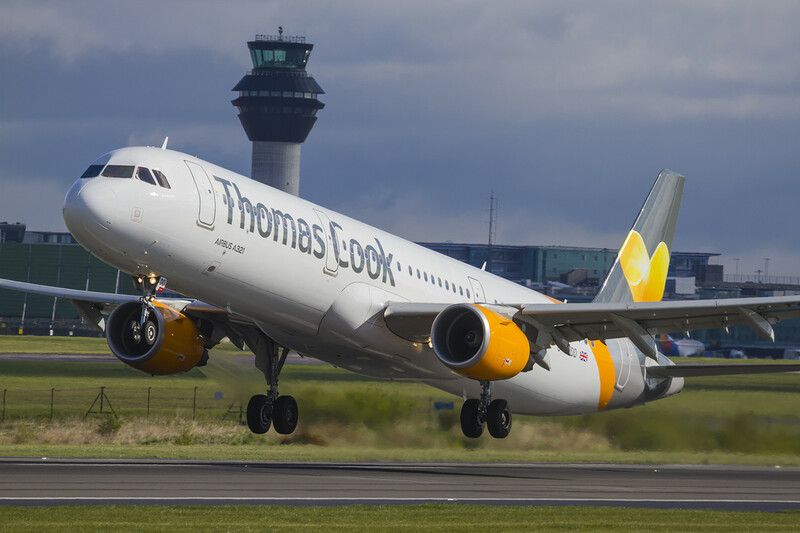 The closure of the Belgian unit prompted speculation that other Thomas Cook carriers might follow the same path, though the company at that time denied the speculation. Thomas Cook’s airline division generated £3.5 billion ($4.5 billion) in revenue in the last financial year and an underlying operating profit of £129 million. The increased profitably of the airlines, up 37 percent year-on-year, contrasted sharply with that of the group, which issued two profit warnings last year and reported a decline in operating profit. The efficiency program and bringing the different national airlines closer together to operate as one European airline removed a further £31 million in costs through synergies last year. “Our strategy for the airline has been to profitably grow as a leading European leisure airline with a reliable, customer-focused service. This has involved a continuous review of our cost structure in order to stay competitive in a highly fragmented market,” Thomas Cook noted, adding that it had made good progress in strengthening its seat-only offer and expanding services to third-party tour operators.